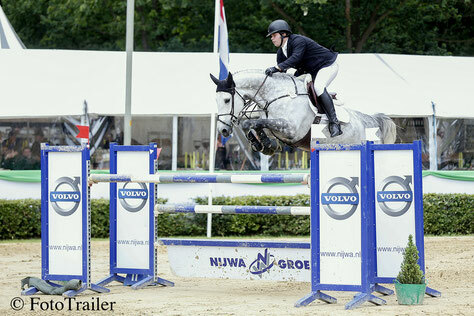 Jake Saywell was the boss in the 1.45m Bouwbedrijf Hofman Prize for Young Riders. The grandson of olympic rider Mike Saywell and former student of Roelof Bril won the class with Havinia van de Roshoeve (Cicero Z x Lacantus). Kars Bonhof was the best Dutch rider on the 4th place with Casinia (Calido I). Runner-up and 3rd were the German riders Lars Volmer with Maja H (Contendro I) and Justine Tebbel with Light Star (Light On). Nadja Havnegjerde from Norway finished 5th, followd by Thomas Arendsen Raedt.